Mobile Phone Network Overview - Pinktronix Terrestrial & Satellite Television Installation Services. Probably not what Sir Richard Branston would like to champion as an advertising slogan for the mobile communications empire he set up……..
…….and neither should he, as there are plenty of non virgin dongles out there in operation by people who have discovered the ease and versatility of wireless internet on the mobile phone platforms. Perhaps it is fair to say there is ease and versatility most of the time, but for country users or city folk in the radio coverage shadows things can be a little different. Since, inventor Martin Cooper made the first mobile phone call in 1972; there has been an explosion of devices and options using the mobile phone platform. There has also been a confusion of transmission protocols across a spread of operating frequencies from a raft of providers. The following highly condensed timeline is an attempt to put in place the evolution of technologies and frequency band allocation mostly using Telstra as the provider example. 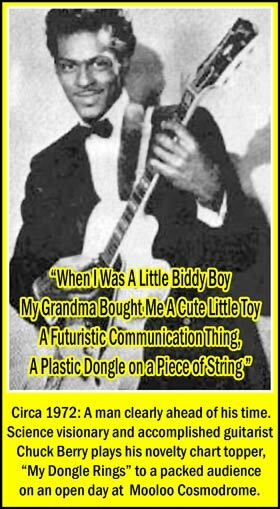 Many readers will not know that a famous rock and roll pioneer of the early sixties Chuck Berry, was also a scientific visionary and it is fair to say that no history of mobile phones or wireless internet technology would be complete without some sort of reference to his amazing technological insight, culminating in the release of his 1972 hit single “My Dongle Rings”. Berry grew up in the backwoods of Missouri at a time when African Americans rode in the back of busses and the Wallace’s of Alabama openly suppressed communication between Negroes and their supporters seeking a better deal. Download lyric and ring tone for “My Dongle Rings” here. 1973 - Mobile Phone demonstrated by Martin Cooper. Martin walks down the streets of New York whilst communicating over the regular phone networks using a prototype Dynatac phone. Mainly for the rich and famous of the era. 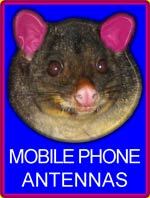 Telecom Australia provided Australia’s first Advanced Mobile Phone System (AMPS), analogue service operating in the 800 MHz band in 1987, switching it off at the end of 2000 with a Code Division Multiple Access, (CDMA,IS-95), digital hybrid communications platform also operating in the 800 MHz band taking it’s place. The AMPS system used analogue modulation / demodulation techniques and belonged to the first generation or “1G” era. 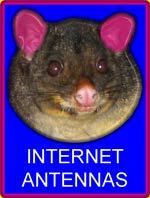 After Telecom’s name change Australia’s principle Telco launched a 2nd generation Global System for Mobile, (GSM), communications network, a dedicated digital service which began operating in the 900 MHz band, a service best suited to high density population centres for a given number of cells. Technical limitations placed the maximum distance from customer to cell at 35 kilometres thus this service was not suited the bush. Telstra was later to employ the 1800 MHz band as well to accommodate increased traffic. The CDMA system was a 2nd Generation system in a 1st Generation sort of way in that the IS-95 standard allowed for elements of analogue voice transmission to remain in place. This requirement was specified by the Australian government so that the coverage footprint of the old AMPS network would remain intact, pending rollout of more advanced technologies. 1999 - 2000 - 1G, Farewell. 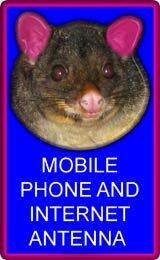 Advanced Mobile Phone System (AMPS, Australia’s first mobile phone system is shut down in stages as CDMA, IS-95 takes over. Telstra launches General Packet Radio Service (GPRS) for mobile phones allowing mobile users on the current GSM network to access internet services on compatible mobile phones. Hutchison, (later to commence a partnership with Telstra) launches a Universal Mobile Telephone Service (UMTS) 3G service operating in the 2100 MHz band. Telstra launches the Universal Mobile Telephone Service (UMTS) Next G (3G platform, Next G for marketing purposes.) 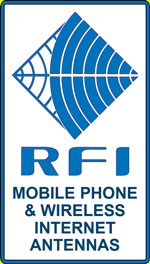 network operating in the 850 MHz band to handle wireless broadband and mobile phone traffic. This system is more suited to the longer range requirements of the bush. Back to the Future. Telstra and Vodaphone/Hutchinson Australia to end sharing agreement of 2100 MHz spectrum in favour of Next G, 850 MHz offering superior service. And that is where we will leave our timeline and mobile phone platform evolution example. Hopefully with this brief example you will begin to see where all the frequencies are stacking up in the equation and perhaps just why you will need a particular type of antenna to optimise performance for your own mobile phone or wireless internet installation. For those with an inquisitive mind regarding the mobile phone platforms, there is a raft of further reading regarding mergers in technology, mergers in marketing, and an atmosphere of commercial inbreeding which rivals the Hapsburg dynasty of seventeenth century Spain. The great difference being we hope is that incestuous technologies produce offspring which are a little more beneficial to mankind than the offspring of incestuous royal relationships. 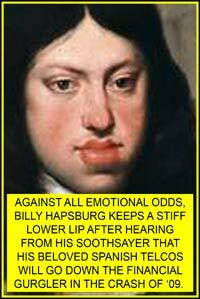 Happily, I think it is fair to say that we are lucky in that there is no technological equivalent of the Hapsburg lip….at least thus far anyway.